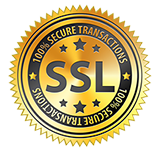 Add a vintage touch to your keys with these decorative Classic Fiat 500 keychains! 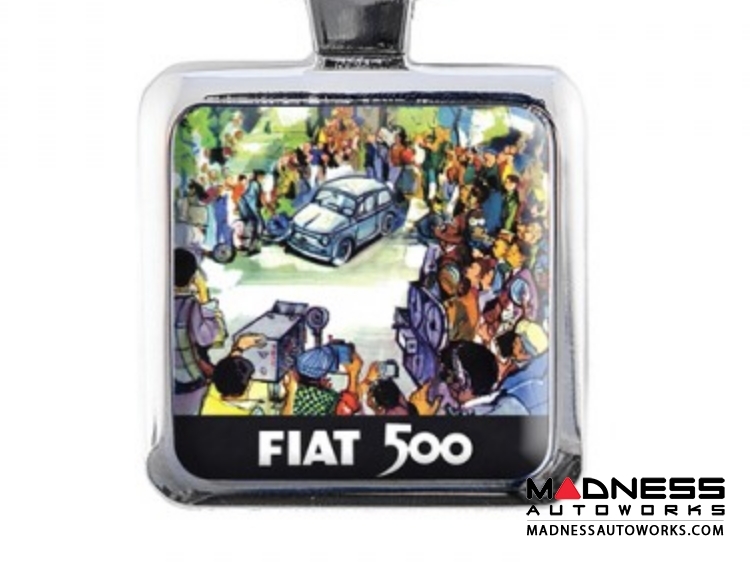 This listing is for a square Resin Keychain decorated with historic Fiat 500 images. 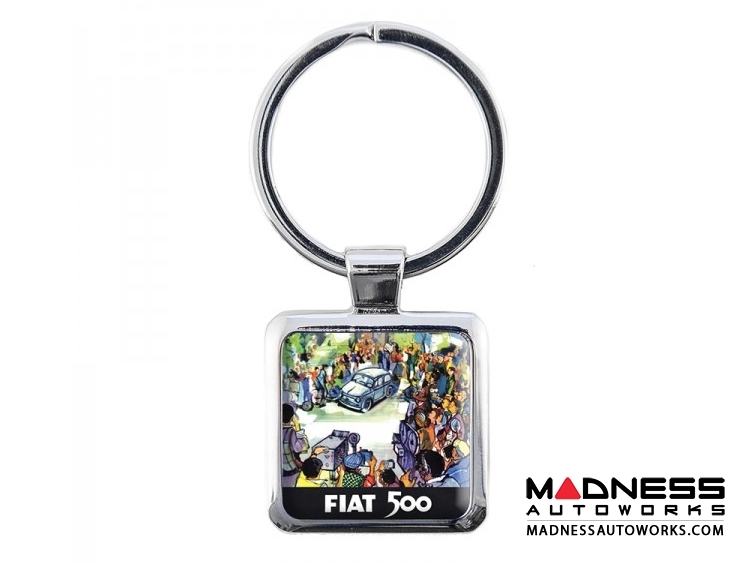 The keychain features drawing of the unveiling of the new Fiat 500.